Join Straight To The Source to discover the Macleay Valley Food Bowl, an abundant and high-quality food-growing region on NSW’s mid-north coast. During this two-day, one-night experience, we will explore the diversity of the region’s produce, including a farm visit to award-winning producer Burrawong Gaian Poultry, Australia’s only Humane Choice accredited free range poultry, game birds & duck eggs, along with Burrawong’s neighbour, chef Stefano Manfredi. Other private farm tours include Eungai Creek Buffalo, a biodynamic buffalo farm and micro-dairy; and, Pipers Creek Grove who are specialist growers of certified organic bush foods such as blood limes, Davidson plums, Aniseed, Lemon and Cinnamon Myrtle and much more on their plantation. Clayton Donovan, Australia’s only hatted indigenous chef & star of ABC’s Wild Kitchen, will be cooking a dinner showcasing native ingredients & produce from the Macleay Valley Food Bowl at Piper’s Creek Grove bushfoods plantation. At the hub of this region’s seafood sector is the Macleay River Fishermen’s Co-op where we will gain industry insight into the vast variety of wild caught seafood available from the Macleay Valley River and mid-north coast ocean. 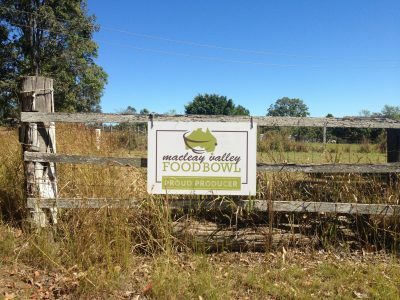 This exciting behind-the-scenes itinerary of the Macleay Valley Food Bowl will include masterclasses & workshops, a sunset regional produce dinner in a magical outdoor location and an opportunity to meet more of the region’s producers as they join us during a local produce showcase lunch at Sweet Water Farmoverlooking the magnificent Macleay River. The team at Straight To The Source take care of all details and logistics, including flights (Sydney-Port Macquarie-Sydney)*, all ground transportation, meals with accompanying beverages, 1 night’s accommodation, master-classes, workshops and private access farm tours. Grab your camera and overnight bag, hop on the bus, sit back and enjoy this exclusive professional development experience. We’ll do the rest! *Please note: the tour starts and finishes at Sydney Airport’s Domestic Terminal, Sydney. Guests are responsible for getting themselves to/from the meeting point at Sydney Airport’s Domestic Terminal.